Over the past few months, I’ve developed a love for red lipstick. Before, I wouldn’t wear red lipstick very often at all, but now I find myself wearing it on almost a day to day basis. 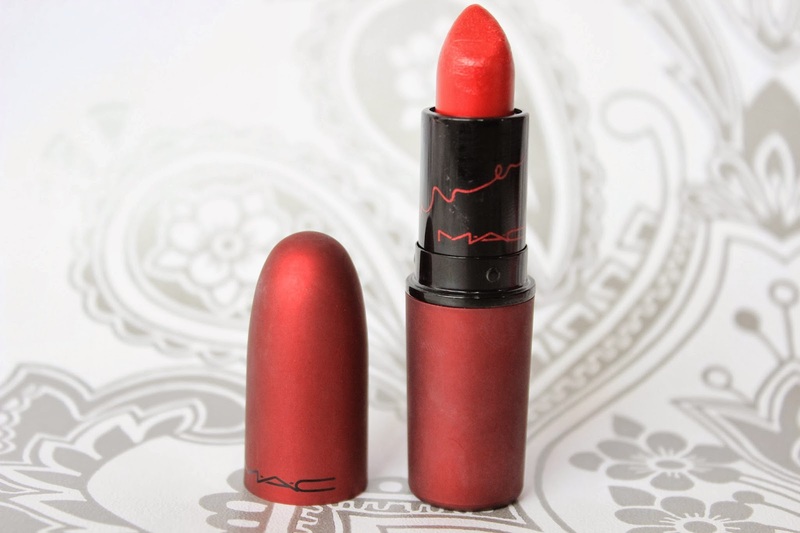 I’ve also acquired three red MAC Lipsticks as well; Lady Bug, Prepare for Pleasure and Viva Glam Rihanna – today’s lipstick of choice. Here it is! 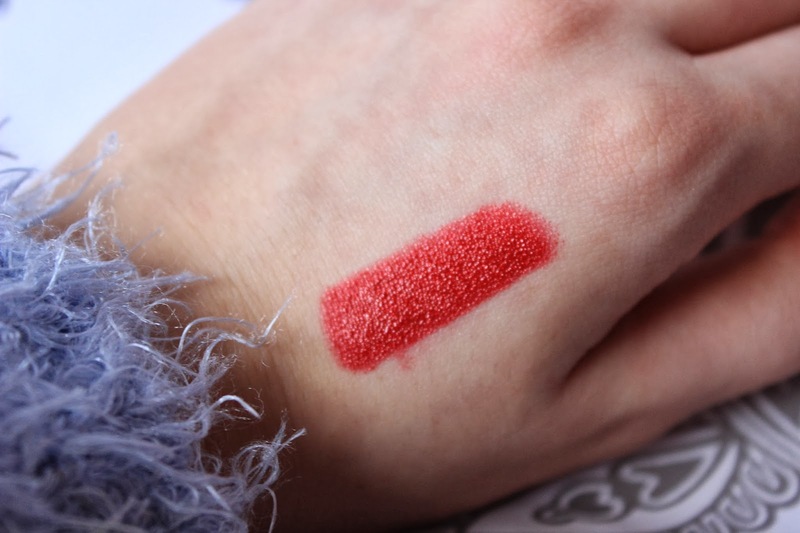 As you can see, the packaging is different to the usual black and silver bullets that the lipsticks come in – this is a matte red colour, with an almost rubbery feel to it. 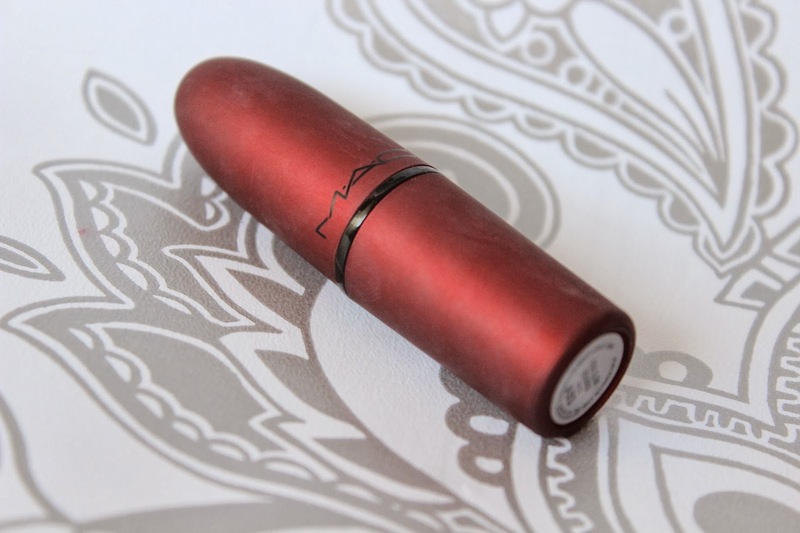 Rihanna’s signature is also written across the metal part of the lipstick packaging. I really like this packaging – I find it so exciting when the packaging is different to the usual packaging (Let’s face it, me buying Prepare for Pleasure from the Divine Night collection was definitely inspired by the black and gold packaging!) so I was excited when I saw this. The only thing that I find quite irritating is that it marks quite easily due to its matte material. Initially I was going to buy the lipstick online, but I decided to wait until it was in shops, so I could see what the colour looked like on. The colour itself is so, so pretty. It is of course a red shade, as reflected in the outside packaging, and is a frost finish. 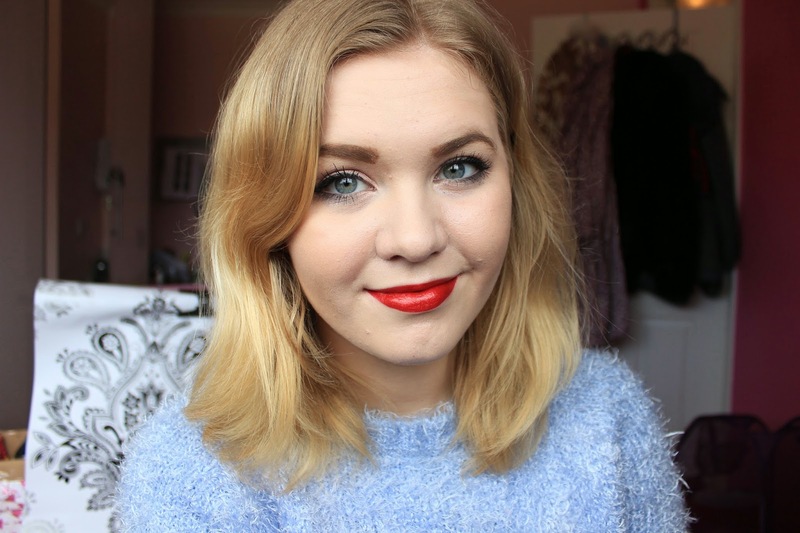 It’s described as a blue-red toned lipstick, and I definitely think that blue-red lipsticks are best suited to me, as I find this colour very wearable for both day and night. Like many frost lipsticks, this does have a shimmer to it – in fact, it’s quite shimmery, so if you don’t like shimmery lipsticks, you may not like this one. I know many people aren’t a fan of the frost finish, but personally I love how smooth it is to put on the lips – Most of my lipsticks are either Cremesheen or Frost. So, I am really loving this lipstick. I’m tempted to pick up the Rihanna Lipglass as well, as I don’t own any Lipglasses. I’m not sure how long it’s in stores for, but I did read somewhere that it’ll be around for a year – I have no idea if that’s true though, so if you’re after this lipstick I’d get it as soon as you can. Also, the £15 you pay for the lipstick goes to helping people living with HIV and AIDS – So you can look fabulous for a good cause!